OCTANORM offers the right solution for every Cleanroom. Whether it’s a single room, room in room construction, or mini-environments – there are almost no limits to our highly efficient and precise systems. Saving energy is increasingly important when it comes to equipping or modifying Cleanrooms. OCTANORM’s idea of LED lights directly fitted into the ceiling is considered ground-breaking in the industry. One look on the list of OCTANORM Cleanroom components shows: there are almost no requirements within the Cleanroom industry, that OCTANORM can’t meet; no matter the size or design you prefer. See for yourself! 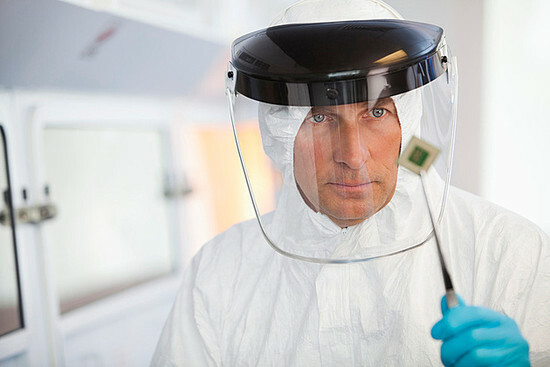 Every Cleanroom is different. But some requirements have to be met throughout the whole industry. Because of that, OCTANORM offers specific systems for the most common fields of application. 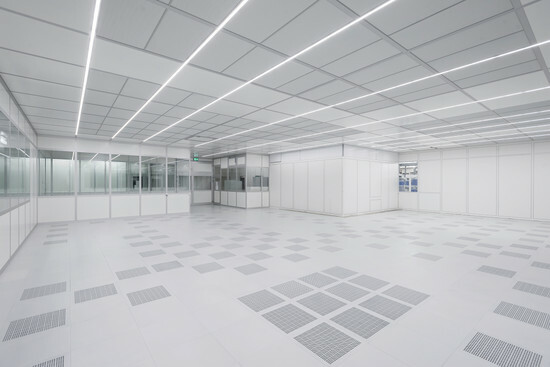 An increasing number of components in the electronics and semiconductor industries are made in clean rooms to obtain increasingly higher quality. OCTANORM supplies the right components. 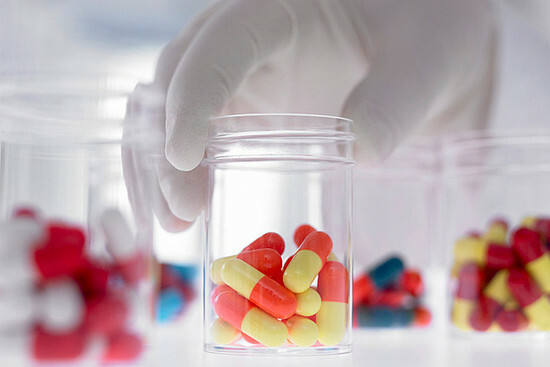 High safety standards regulate the production of pharmaceuticals and medical devices. 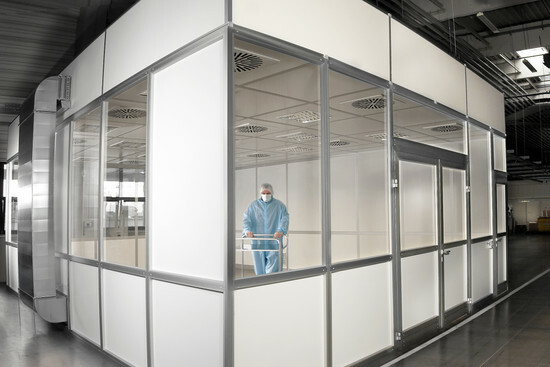 The proven quality of our OCTANORM Cleanrooms ensures those safety standards are always met. We will readily give on-site advice. Just call for your personal consultation.